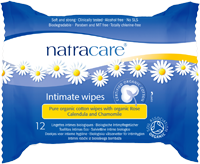 Natracare is my promise to women to provide quality, organic and natural solutions for intimate hygiene and personal care without ever compromising ethically. Our resolve is to continue to educate women about the irritating and damaging types of ingredients that go into leading brands and their effects on health and wellbeing. Back in 1989, I saw a documentary about the growing danger to human health from dioxins and furans, carcinogenic bi-products of the chlorine bleaching processes, involved in the making of paper products such as tampons, pads, baby diapers, toilet paper, coffee filters, etc. I was inconsolably angry at the dismissive response of the international feminine hygiene brands to the evidence. My immediate reaction was to begin to research and develop a safer option for women and the environment so Natracare, the world’s first organic and natural tampons, pads and liners were launched. 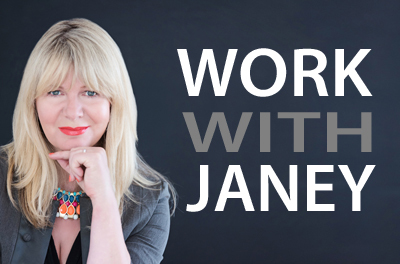 After graduating as a graphic designer from London, I worked in both public and private industry for many years. The pain of years of London commutes saw me move to Sweden to study weaving and Swedish. Not permitted to work, I volunteered as a youth support counsellor, which inspired me to attend Reading University to get my teaching qualification. I have always believed that a design education allows for critical analysis and creative solutions and when you couple this together with my long term commitment to protect the environment (I’ve been an active member of Friends of the Earth for 45 years) my “thunderbolt moment” in the development of Natracare was a storm waiting to happen! For me it is a common sense solution because we all know that we should avoid products that have the potential to cause us harm and discomfort and to damage our habitats. Certified organic and natural, means that the precautionary principle has been applied to the product design and performance. Leaving out suspected and proven toxic and harmful ingredients, skin irritants, hormone disruptors, chemicals of concern, dyes, formaldehydes, parabens, fragrances, etc. and replacing them with certified organic, plant-derived, sustainably sourced ingredients. We are the pioneer that continues to stand up to the status quo the conventional brands thought we should accept as our lot! 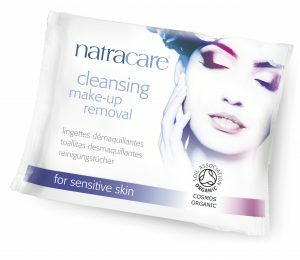 Natracare became the first ever certified organic, 100% cotton tampons back in 1996, the first totally chlorine-free, plastic-free range of pads and liners all of which are approved by the Vegetarian Society and internationally, ecologically accredited, and in recent years, achieved the first ever COSMOS Organic certification for Natracare organic cleansing makeup removal wipes. All Natracare products can be composted in a domestic compost bin. However, I believe what really makes us special is we are still a campaigning brand with a sincere dedication to ethics. 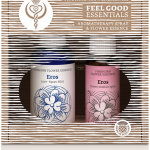 We received full scores by the Ethical Company organisation which makes us the number one ethical brand for feminine hygiene (www.thegoodshoppingguide.com/ethical-feminine-care/). Feedback seems to be always along the line of “keep on doing the great work & keep on protecting women’s health all around the world in a sustainable way”. Women are happy that they can use quality products that are free from chemicals of concern without sacrificing performance whilst being reassured that their skin and health are not being compromised. We still have a few exciting new project developments in the pipeline and are constantly working on innovations within and on the margins of our range so watch this space. That one day everyone will have heard about the benefits of organic and natural products not just for our own personal benefits but also for the benefit of our environment – so in my wide awake state, I continue delivering on the promise I made to women 28 years ago. We are currently in over 63 countries around the world in a cross section of stores as well as from online e-tailers; in the UK you can find Natracare in health stores and natural pharmacies as well as Waitrose and Ocado. 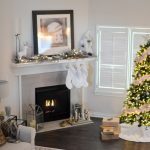 The Natracare website has a search facility for where to buy.